What does Zonoff do and what does the name mean? At the most basic level, Zonoff’s technology allows connected devices to talk to one another in one simple app – our technology provides the brains behind the connected home. Recently, we’ve seen an explosion in availability of new connected devices in the market, but there are a number of different protocols and wireless systems that need to be connected together. While techies and enthusiasts have found ways to hack their devices together, Zonoff is more concerned with the mainstream consumer who just wants everything to work without the hassle. Zonoff’s software helps solve this issue. We’re device and frequency agnostic, meaning that our software can connect devices from both closed proprietary systems and devices on open standards, like Wi-Fi, ZigBee, Z-Wave and others. That way, consumers are assured that any smart device they invest in today will still integrate into our system years down the road, regardless of which protocols become the most pervasive. What kind of products can you connect using Zonoff's software? Zonoff’s software can connect products ranging from smart lighting to garage doors, automated blinds to locks, television sets to security systems, and much more. The best part about having such a large network is that consumers can decide which type of device or manufacturer best fits their needs. We work with both big name brands and well-established hardware companies as well as exciting new upstarts. Staples Connect, our home automation initiative with Staples includes devices from brands like Honeywell, Lutron, Doorbot, and Linksys. We also power the TaHomA home automation solution from Somfy, which manufacturers window covering systems for both residential and commercial use. As device options grow, so will Zonoff’s network and consumer base. What sets Zonoff apart from other companies in the connected home space? Zonoff is not interested in creating a consumer brand. Instead, we partner with retailers, consumer electronics device manufacturers, and service providers to help them deliver connected home solutions to their customers. We believe that the best way for the connected home to reach the mass market is for big, trusted consumer brands to lead the way. This way, we can leverage the trust, quality and distribution channels of legacy names that consumers are familiar with. Can you tell us a little about the partnership with Staples — how will it work for Staples and how for Zonoff? This partnership marks the most aggressive connected home initiative to date at retail. Staples is moving into this space because they see the big trends moving this way as well – pervasive broadband, consolidated wireless standards, and apps everywhere. Zonoff's software platform plays three critical roles for Staples Connect. 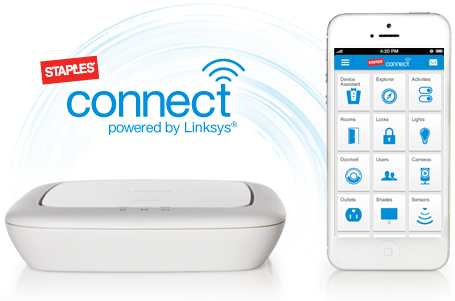 First, our software is powering the central hub device, which is manufactured by Linksys and will enable Staples’ customers to connect to hundreds of compatible products, in their home or small business. Second, Zonoff manages the Cloud software for Staples, which enables consumers to connect to their home remotely. And finally, Zonoff is providing apps for home control via iOS, Android and web browser. Consumers and small businesses can get started with Staples Connect for as little as $100 and gradually build their connected home capabilities up from there. The Zonoff platform will also enable Staples to recommend related connected home products or services via easy one-click purchases. What can customers expect to see in the participating Staples stores? Staples is rolling out an interactive in-store display in select stores nationwide in November, in advance of the holiday shopping season. The display is going to be a key educational element to keep shoppers engaged about the possibilities of the connected home. Consumers will have a chance to learn more about what kinds of devices they can use in their homes, and what options are open to them. Is a professional installer required for the Zonoff system? There is no professional installer required for Zonoff’s system. We pride ourselves on the concept of a “plug and play” system. The system automatically identifies the devices in a home that have connected capabilities and will pull them into the App. For that reason we’ve worked to make the installation as seamless and intuitive as possible. However, for those consumers who would like help, installation will also be available through Staples EasyTech Services. Customers can either select a starter kit or choose specific products and services to start with, and add new devices as they go. What's the biggest challenge that consumers face when it comes to connecting their homes? I’d say the greatest challenge in the connected home space is education. People recognize that the technology is here to make the connected smart home a reality – the issue is that most Americans believe that they can’t afford it or that they don’t want to spend the time to figure it out or install it. What’s exciting is now there are affordable options to bring a connected home to almost any price point. How can we expect home automation to evolve over the next 5 years? Major trends are coming together to make home automation a reality for most consumers. Broadband connectivity is pervasive in most communities. Consumers are very comfortable with smartphones and tablets. The cost of the hardware continues to come down. And the wireless standards are consolidating; today there are over 1,500 devices that are Z-Wave or ZigBee certified. All these trends are coming together to create a “perfect storm” over the next few years that will initiate mass market adoption. Nobody goes to a store looking to purchase a “smart home” as the concept is just too broad for most people. But, if those same people can start small and solve one nagging problem that saves them time or money, or makes life easier – then they will solve another problem, and then another. Once people see the benefits of these connected home solutions in their own life, they will start to add new ones. Then they will start to tell – or show – their friends, and the whole market will benefit. Zonoff CEO Mike Harris is a serial entrepreneur who has founded or led three venture-backed startups to successful exits, including one IPO on the NASDAQ. His background is in engineering, though he credits much of his companies’ successes to innovative business models. 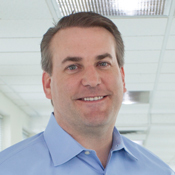 Prior to starting Zonoff, Mike founded AnySource Media which supplied a connected TV software platform to CE OEMs, and acquired by DivX. In 2010 he co-founded Zonoff with the mission to provide the core software technology for the connected home.